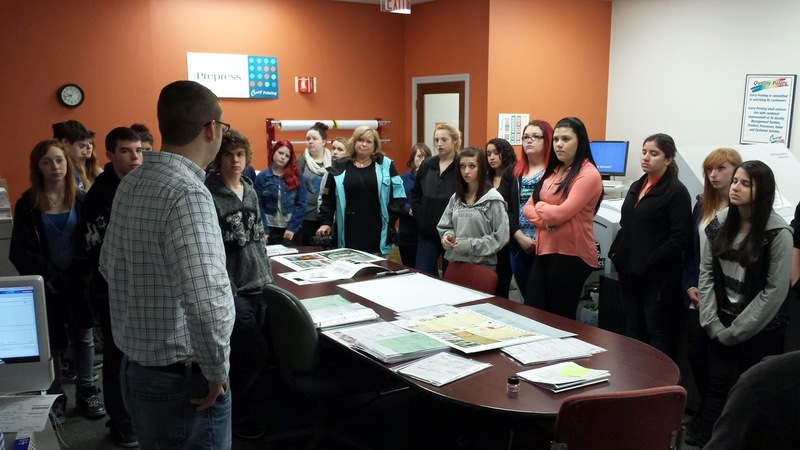 Design students go behind the scenes and see the latest print processes in the industry. Students pose for a picture to commemorate their visit. program at AVRTHS and are studying the latest techniques in both the digital and print world. 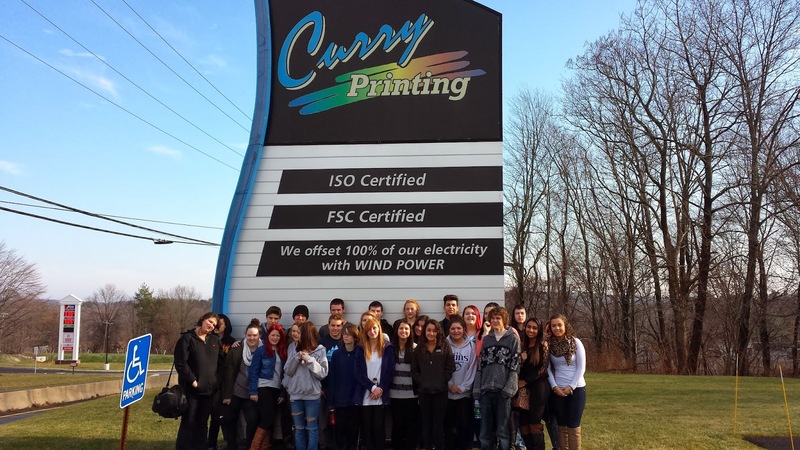 Their visit to Curry helps give them practical, real world examples of how print communications works. 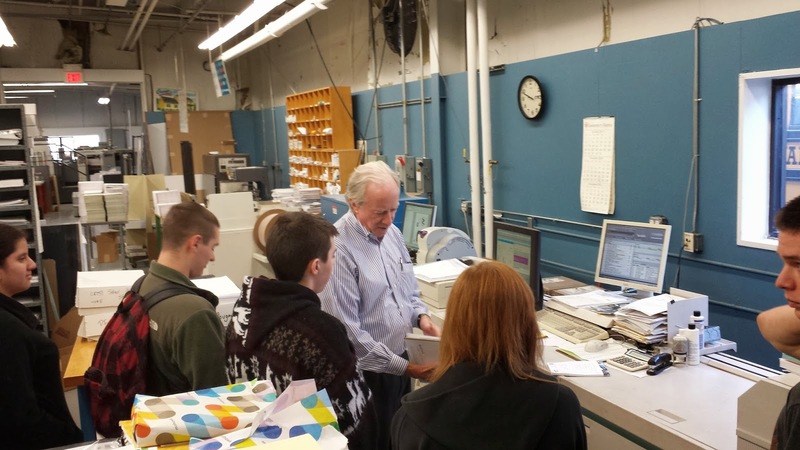 "We really enjoy having the students from Assabet come to our main facility to learn more about how things get printed," says Joe Gardner, Curry's Vice President. "They are the next generation of communication professionals and we're proud to be able to support them and help them understand today's technology and the actual application of that technology." Dennis Whitney, Vocational Instructor at AVRTHS, helped facilitate the tour at Curry and said, "It is my job to prepare our students for the workplace. Part of that is teaching them what happens when they send their design projects out to a commercial printer. Understanding how to reproduce color on paper and using the related terminology is important for any student leaving our program." Mr. Whitney continued, "We are lucky to have a partner like Curry Printing in our district that can help us teach these competencies. During our tour the students traveled through the plant along the same path a live job would. They saw customer service, prepress, printing, bindery and finishing. 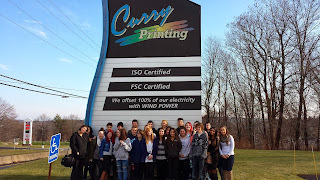 It was a great day and our students really enjoyed their visit to Curry Printing." Curry conducts these tours periodically to help up and coming design professionals to understand the print communication industry at a deeper level and invest in the future of the medium.